As always, things seem to be rather simple at the start, and the feeling is that ‘someone else must already have done this’. And as many other times, such an assumption turns out to be wrong. Well, that part was not really considered as part of the research project: now how to pair a Hexiwear with a Raspberry Pi has become a research project in a research project ;-). In this article I describe my journey and the steps I have explored how to pair the Hexiwear and a Raspberry Pi 3 Model B together. 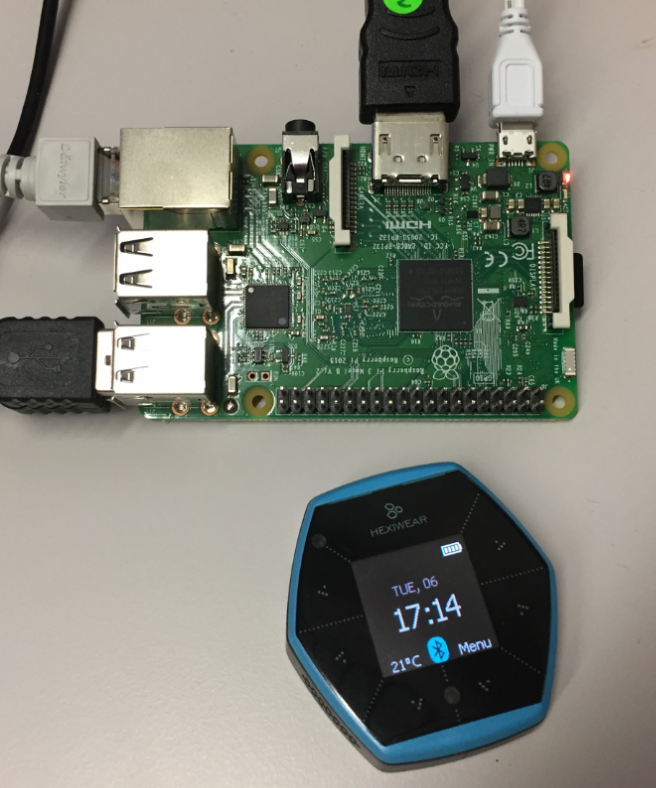 This requires downloading BlueZ (a Bluetooth stack) for Linx, building and installing the BlueZ software on the Raspberry. 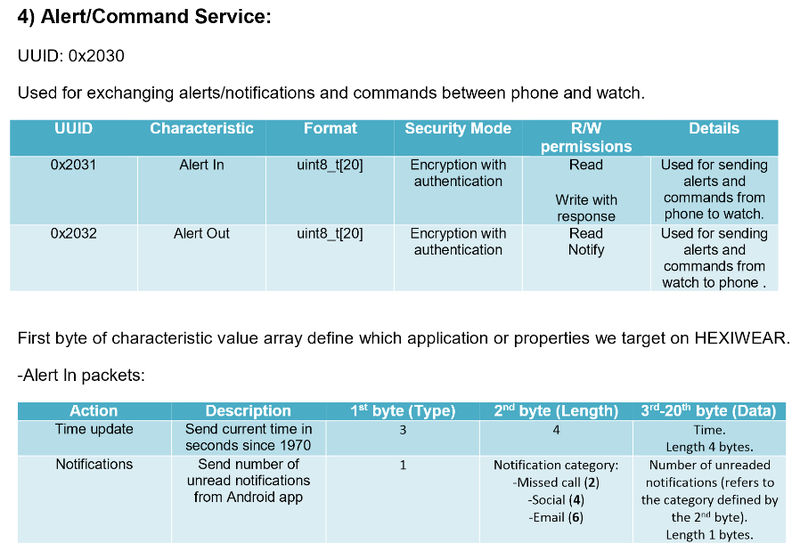 I describe the needed settings on the Hexiwear and how to use the command line tools on the Raspberry to pair and explore the Hexiwear, including the necessary steps for authentication. 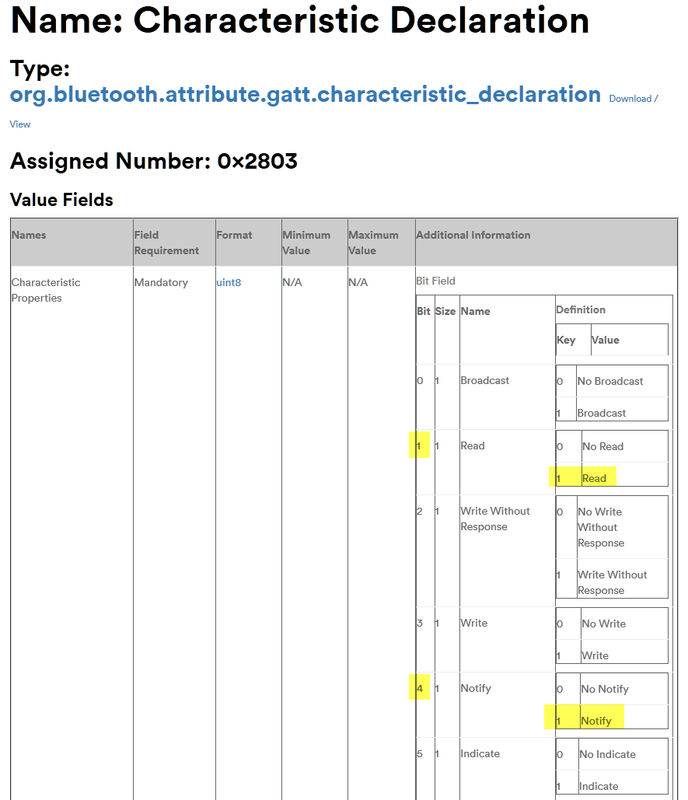 The tutorial shows using the ‘bluetoothctl’ tool and finally using the ‘gatttool’. With this I was able to read sensor values or to trigger notifications sent from the Hexiwear to the Raspberry Pi. 💡 What does not work at this time is to use the Alert/Notification service (e.g. to write the current date/time to the Hexiwear). 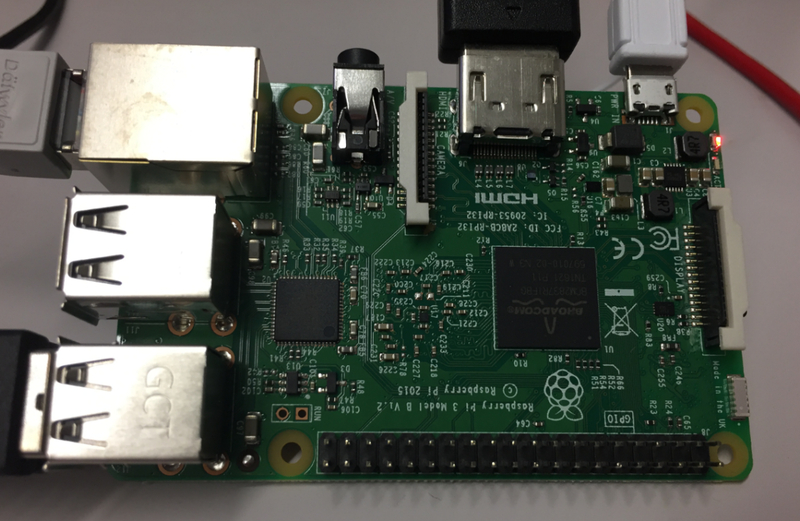 The Raspberry Pi 3 Model B V1.2 with on-board BLE transceiver and running Raspbian GNU/Linux 8 (jessie) version 8. This should create a configuration, with no errors. If there are errors, probably something went wrong with the above dependencies and library installation. 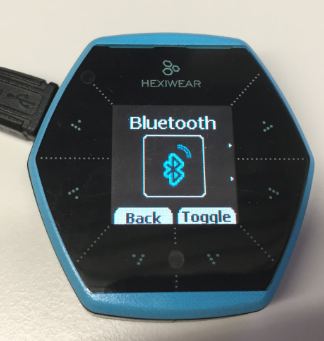 If the Hexiwear does not show up, try a reset of the Hexiwear with Bluetooth on the Hexiwear enabled. Note: According to a community article I should be asked to enter a pin (displayed on the Hexiwear). However, with the BlueZ 5.43 I have not been asked for a pin initially. I can pair/bind without a pin, but then I only can read values which do not need authentication, so pairing is pretty much useless :-(. 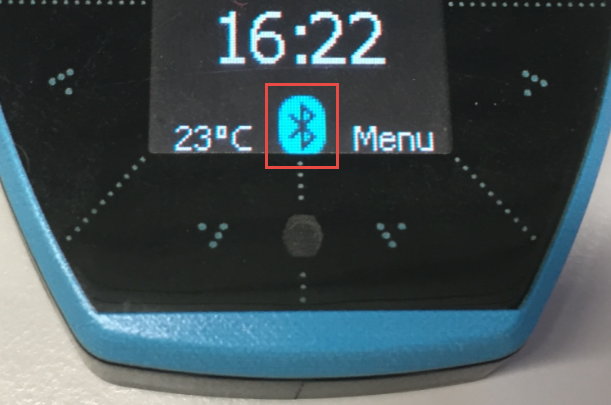 If you don’t get asked for a pairing/bonding pin, repeat carefully the steps above, including a) disconnecting from a connected Hexiwear (disconnect command), removing a Hexiwear (remove command) and make sure you quit and restart the bluetootctl program. 💡 Use <tab> key to autocomplete the values. 💡 if you read all zeros, make sure you have the ‘Sensor Tag’ application running on the Hexiwear. So I’m not sure what I’m doing wrong? At this point, I’m not able to write to that service :-(. UPDATE: Finally managed to write data with the gatttool, see below. The gatttool is another powerful tool like the bluetoothctl one. With the gatttool I can inspect the attributes. 💡 Before using the gatttool, make sure you have used the ‘disconnect’ command in the bluetoothctl, followed by ‘quit’ to exit the program, otherwise the gatttool will not work! 💡 if all zeros are returned, check that the Hexiwear has the sensors enabled. Turn on the ‘Sensor Tag’ application. 💡 I have not found clear documentation about the difference between char-write-cmd and char-write-req. To me the char-write-req is expecting a response, while char-write-cmd gives no output indicating success or failure. but both trial did nothing? Not sure what is wrong or what I should do? But that failed as well? I even tried to send the bytes in reverse order. So here I’m really stuck: I can read, but I cannot write the time information :-(. 💡 So far was not able to use the WireShark sniffer with encrypted traffic. Thanks to a tip from a colleague I should be able to get this worked out. This allows me to read in which mode the application is running, plus getting notifications if something has changed. 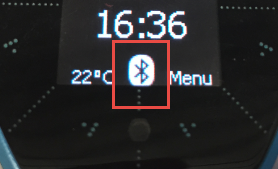 💡 Interestingly, I get two notification with value 02 when I enter the Sensor Tag Hexiwear mode. 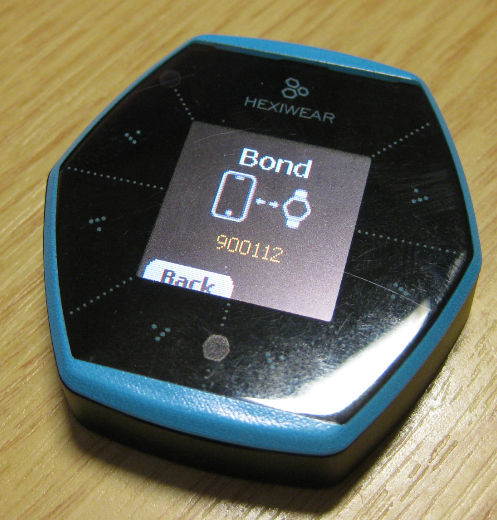 The Hexiwear is a cool BLE enabled device. 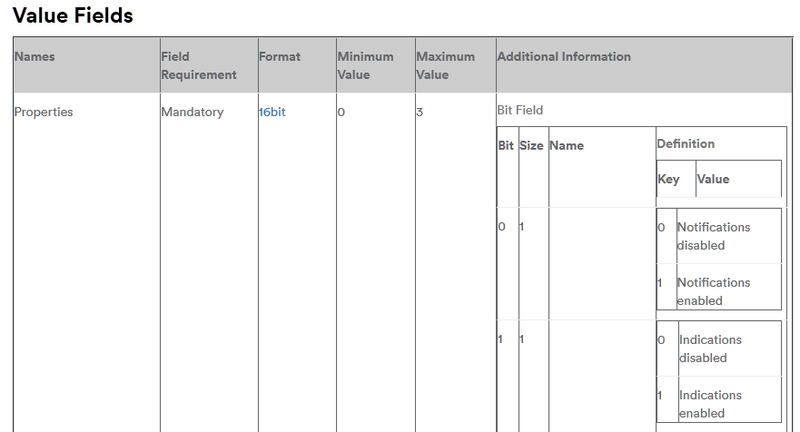 Unfortunately the BLE documentation for it is very thin, and while searching the community and forums I have found many good hints, but found as well others asking the same questions I did, unanswered :-(. While I can successfully authenticate, read attributes and turn on and get notifications, I’m not yet able to write to the Hexiwear, e.g. 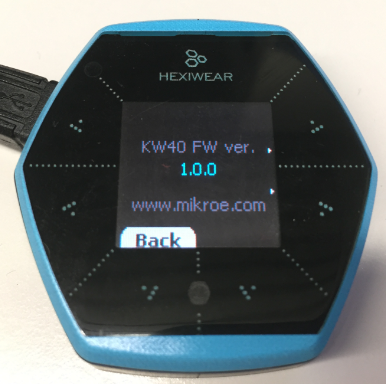 writing the current date/time to update the Hexiwear RTC. As I’m struggling with this for more than two weeks, I make a point and have published what I know and can do. So I think I have to dig more over the coming days and weeks on that topic. On the plus side, I have learned a lot about BLE and GATT :-). 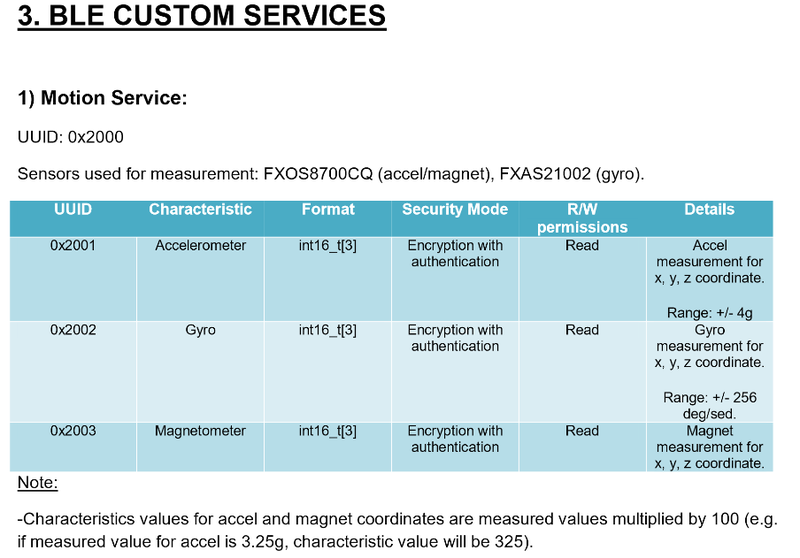 This entry was posted in ARM, Boards, CPU's, Embedded, Hexiwear, Kinetis, NXP, Raspberry Pi, Tips & Tricks, Tutorial and tagged BLE, Bluetooth Low Energy, Embedded, Hexiwear, K64F, Kinetis, KW40, Linux, NXP, Raspberry Pi, software, software project, technology, Tips&Tricks by Erich Styger. Bookmark the permalink. failure can be a success too :-). I have learned a lot, and I think I’m on a good track with reverse engineering. And if you want to try out a Hexiwear, you know where you can find me :-). Hello, I find your article very interesting !! I have some question. Do you think it is possible to the same thing with another device ? Like a BLE watch for exemple. 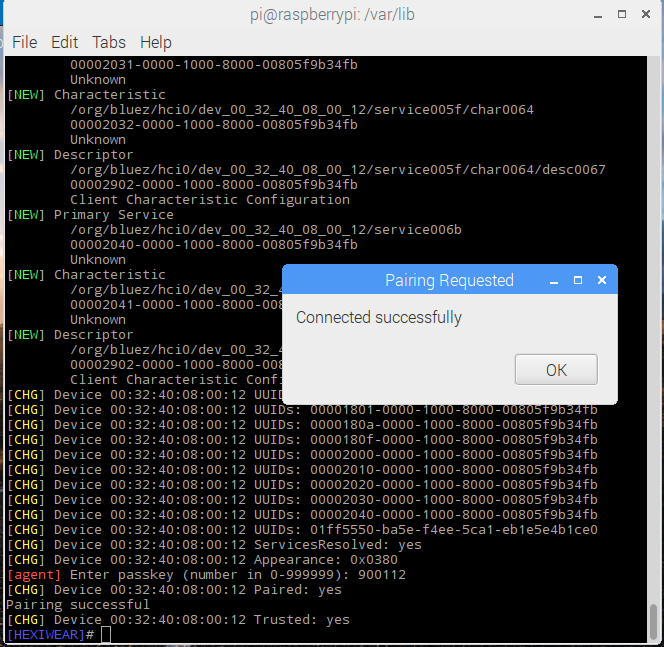 Yes, the same shall work with any BLE device which is BLE and using BLE compatible packets. Ok, thank you. So, in order to extract “service, descriptor and characteristics informations”, I have to pair before? Because, I tried many times to pair but… without success ! I can only connect. Yes, you have to pair first. Nice article. I was trying to return the battery level from an iPhone, but not having as much luck as you. I can get all the way to ‘LIST-ATTRIBUTES’ command, but that doesn’t return any results. It doesn’t fail, just doesn’t return anything. Pairing and connection seem ok. I know this is possible, because my car reports the battery and signal strength of the the iPhone, just wondering if you know any commands to help me get a bit further? 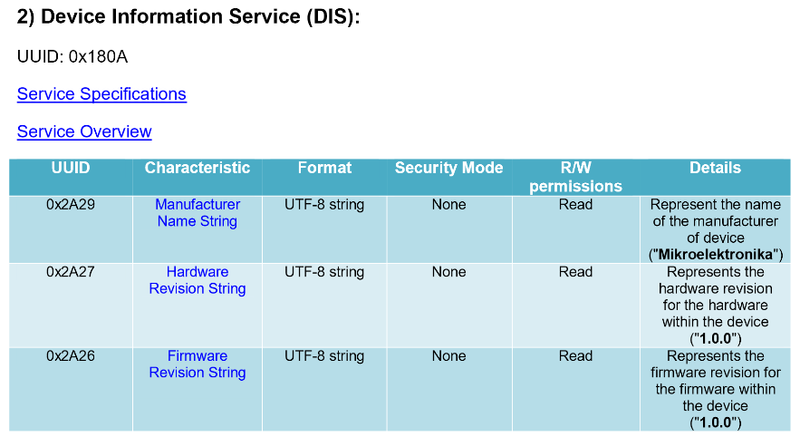 it could be that Apple already does some packet authenification earlier (not sure). Have you tried to inspect the packets with Wireshark (https://mcuoneclipse.com/2016/12/25/tutorial-hexiwear-bluetooth-low-energy-packet-sniffing-with-wireshark/) already? 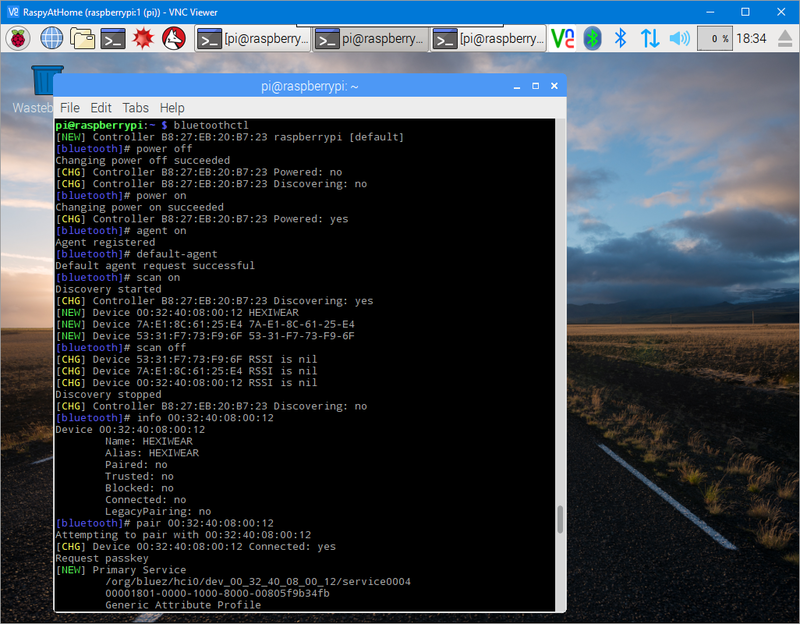 I’m trying to get the battery levels back to my Pi… would you have any ideas what the problem could be? Hi, thank you for the post. I am wondering if it is possible to do the same with an Arduino instead of the Pi. 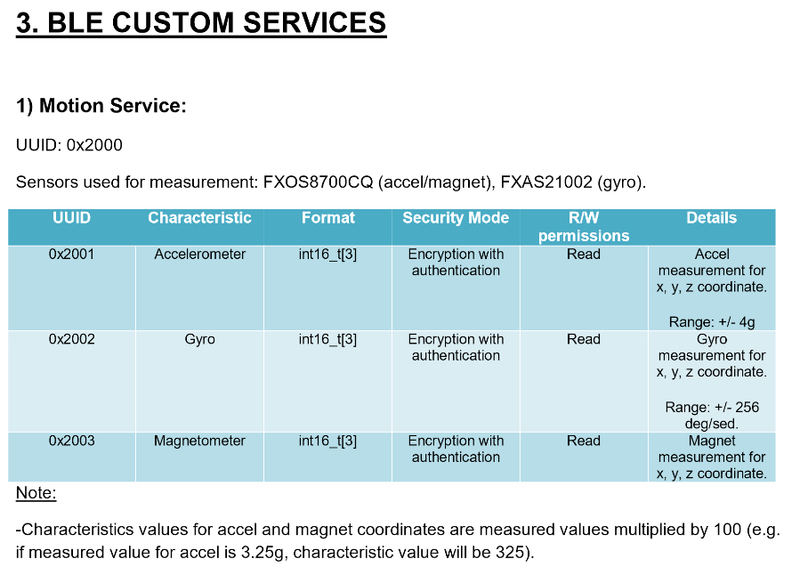 I have attempted to pair my Arduino UNO with a HM-10 bluetooth module but never go further than the Hexiwear stating the key… and I have no idea how I can send the key to the Hexiwear to get paired. Yes, it should be possible with any device, like the Arduino, if the BLE library on the Arduino supports host mode. I have not used Arduino for this, but this sounds like a bug or missing feature in the Arduino library you are using. The BLE module HM-10 that I am using has been configured to host mode, that’s how i managed to get the Hexiwear to pop the 6 digit pin to wait for pairing. Unfortunately my problem starts here because I do not know how to send the pin. I also attempted to hack the hexiwear so that it doesn’t need a pin to pair but haven’t been successful yet. I will keep trying and see if I may get closer to a solution. Thank you for writing this blog point – it provided some important insights for me. I dono how to solve this one. according to the messages, you have not properly authenticated with the device. I am following all steps you have mentioned. In addition to that, I am getting similar results which you have mentioned except the error part. If it is possible for you to provide any reference or procedure to solve this error, it will be helpful to understand your work. I have not seen such an error message on my side. Did you enter the pin code as requested on the Hexiwear? I am able to get data on a terminal but when I run python script it shows this error! First I tried in the lite version of OS then full version but I am getting the same error. Should I try on another OS? I’m not sure what you mean as ‘lite version of the OS’. You mean a linux distribution without GUI? I don’t believe that this makes any difference. The error message indicates that it is a problem with authentification. I suggest you sniff the packets (see https://mcuoneclipse.com/2016/12/25/tutorial-hexiwear-bluetooth-low-energy-packet-sniffing-with-wireshark/) so you see what is going on or going wrong.